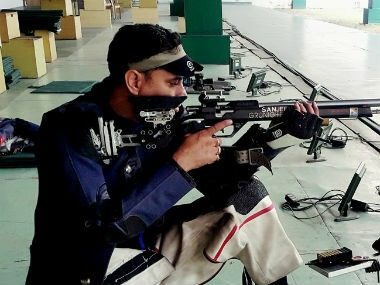 Indian shooter Ravi Kumar won the bronze medal in the men's 10m air rifle event at the 21st Commonwealth Games on Sunday. 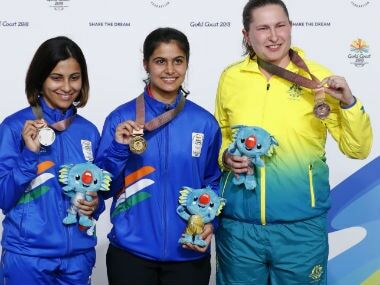 India's 16-year-old Manu Bhaker comfortably won the gold in women's 10 air pistol while Heena Sidhu staged a remarkable recovery to secure silver at the 21st Commonwealth Games on Sunday. 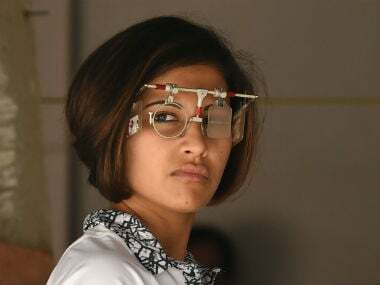 Least affected by the recent controversies around her, India's pistol ace Heena Sidhu's primary target is the World Championship, as she looks to use the upcoming Commonwealth Games as a "stepping stone" to achieve success in bigger events. 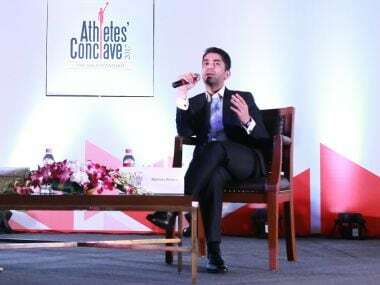 Having won a silver and a bronze in the previous editions, Sanjeev Rajput will set his sights at adding a gold to his CWG cabinet at the 2018 Commonwealth Games. "It broke my heart. I was disillusioned. 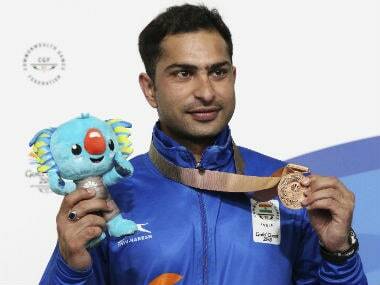 But then my coach Ronak Pandit convinced me to focus on the future," Shahzar said. 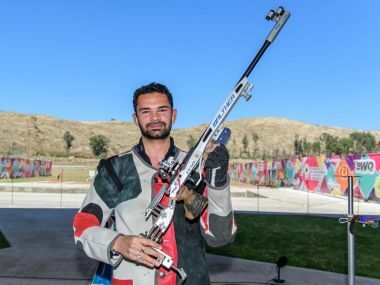 Having endured the heartbreak of missing out on a berth for Rio by 1.2 points, 23-year-old Akhil Sheoran will hope lady luck has a Olympics debut at Tokyo in mind for him. 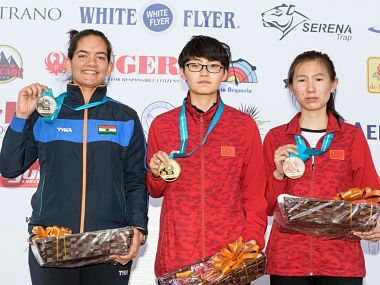 With a haul of nine medals, comprising four gold, one silver and four bronze medals, India finished on top of the charts in Guadalajara, Mexico. 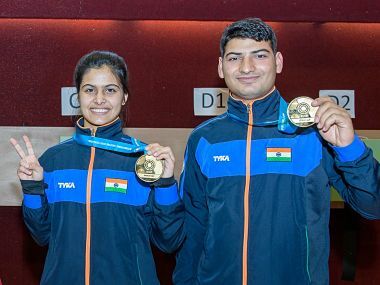 Shahzar Rizvi, Manu Bhaker, Akhil Sheoran and Om Prakash Mitharval won the gold medals in the competition, Anjum Moudgil bagged a silver, while Jitu Rai, Ravi Kumar finished with bronze. 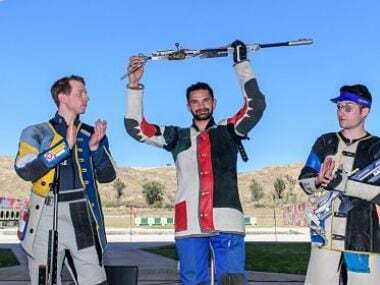 Beijing Olympics gold medallist Abhinav Bindra said shooting is in safe hands and the current lot has what it takes to be Olympic champions in future. 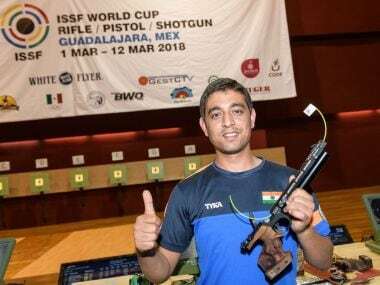 Anjum Moudgil silver is India's eighth medal in the competition and the first silver after having won three golds and four bronze medals already, for their best ISSF World Cup performance by far.